It must have felt strange for Richard Ashcroft on stage Saturday at the Knitting Factory Hollywood. It was only about 18 months ago that Ashcroft and his band, the Verve, seemed on the edge of international superstardom. Thanks to "Bitter Sweet Symphony" and other tracks from the British group's exquisite "Urban Hymns" album, the Verve was playing before 8,000 to 10,000 cheering fans at the Arrowhead Pond. But The Verve was torn apart by personal problems, and Ashcroft's solo album debut was so tepidly received last year that he ended up performing Saturday to just a few hundred fans at the sold-out club. He also sold out a second show Sunday, so Ashcroft might have been able to play a slightly larger venue this trip, but he was wise to showcase the solo music in an intimate setting. It's the best way for the singer-songwriter to rekindle belief in his music and his future. To make the music feel as personal as possible, Ashcroft opened his 90-minute set backed only by his acoustic guitar. He played "Brave New World," a track from the solo album, "Alone With Everybody." Besides his songwriting, Ashcroft's main strength with The Verve was a voice that was tailor-made for songs that expressed the delicate mix of melancholy and hope as well as any in rock since Neil Young's. But even that voice wasn't enough to lift the songs from frequently overly lush solo album to the standards Ashcroft set with The Verve. The tunes did gain character in their stripped-down versions, but they often seemed incomplete. 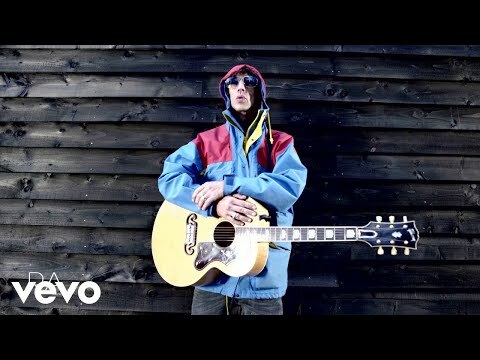 Ashcroft's strong sense of melody certainly hasn't deserted him, as he showed most convincingly in "A Song for the Lovers" from the solo album, but the lyrics lack the revelation and focus of his best work. A three-piece band (keyboards, saxophone/flute and percussion) joined Ashcroft for several tunes, but they played sparingly to keep things understated. The audience was generally supportive. During "Space and Time," a song from "Urban Hymns," he sang, "Can you tell me it's all right?" The fans eagerly replied, "It's all right." In fact, the response was so strong that it's easy to see how Ashcroft could talk himself into returning to play these songs in larger venues. He'd be better advised to return to the studio and come up with a new batch of songs before trying to prove that he's going to be able to win our loyalty without The Verve. The slogans projected on a screen before the show--including "Think that you are something and you'll be something"--indicated that the Englishman is a positive thinker. But this is time for realism.